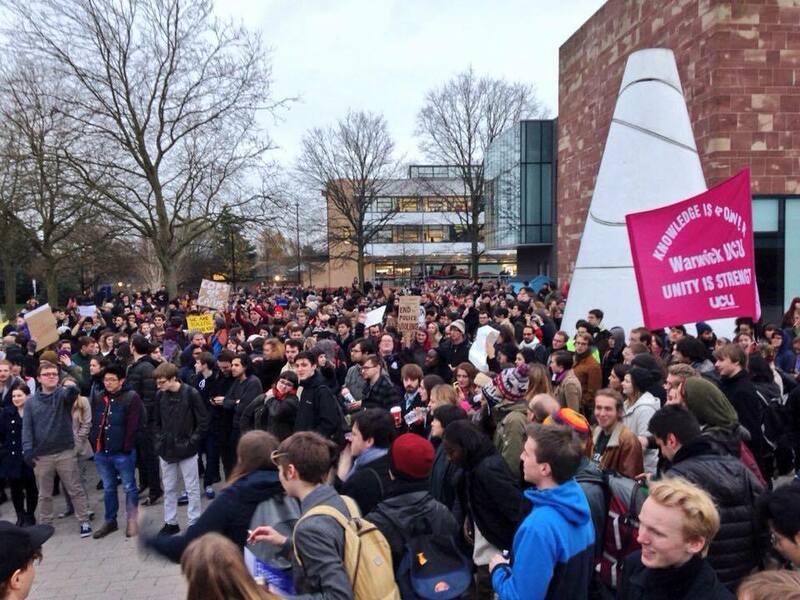 During a peaceful sit-in at Warwick University last Wednesday (December 3rd), students were attacked by police and security guards using CS spray and drawing a taser. Video footage clearly shows police brutality, with a female protester being dragged across the room by her hair, and another student being put in a headlock and slammed to the floor by a police officer. 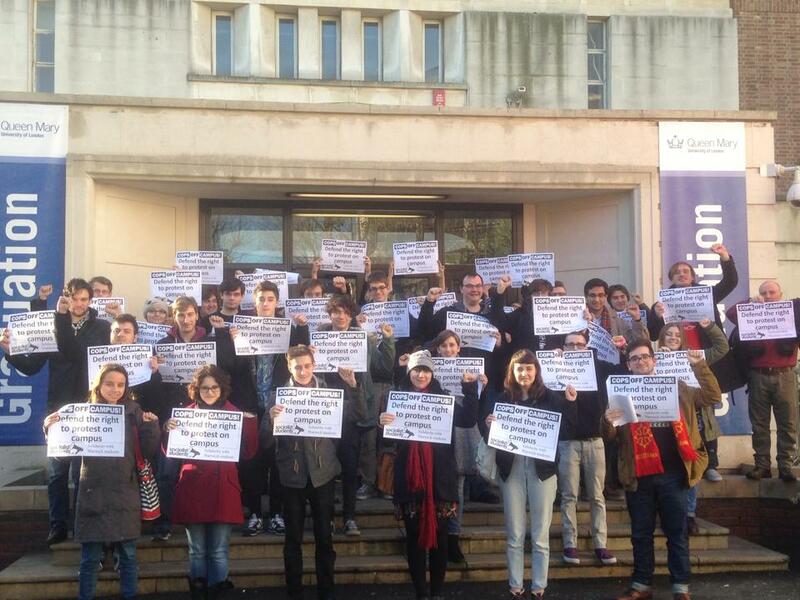 These actions were a disgrace, and the students rightly called a protest the day after in response. This protest was attended by over 1000 people, and a number of people spoke to the demo including Sierra Leonean activist Mohammed Wurie, who brought solidarity from Coventry University SU and Coventry Socialist Students. 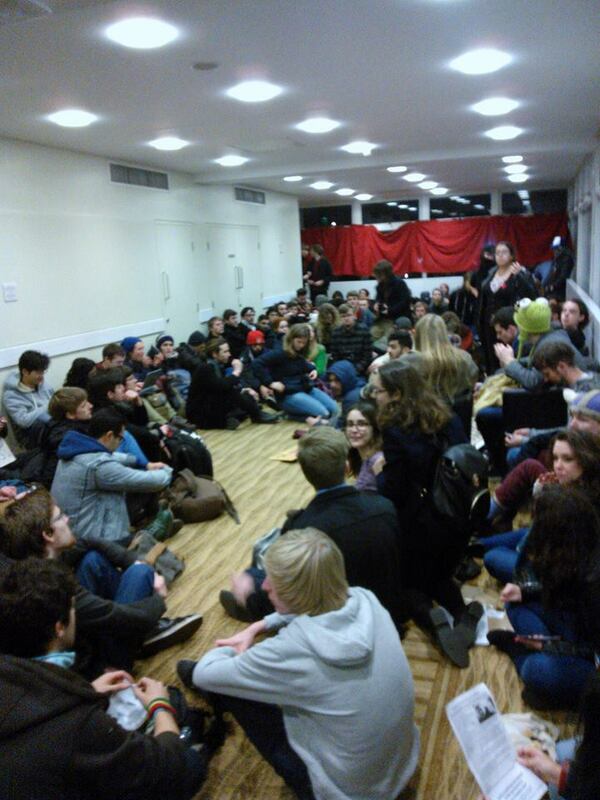 After the demonstration around 200 students occupied the 2nd floor of the Rootes building, and immediately began to discuss the aims of the occupation and the movement for free education. It is clear that the police were told to back off on Thursday after the events of Wednesday, with only a small number of Police Liaison Officers visibly present. This shows the power we have – when there’s a mass occupation, police keep their distance. It is crucial to harness the power that we hold, especially those who may be new to political activity. We need to organise more mass demonstrations and occupations as part of a wider movement to fight for free education and to change society.